Fashion lovers unite! Stranger Things star Millie Bobby Brown just rocked see-through jeans, proving that they can, in fact, be pulled off. Back in March, Topshop released a new line of jeans, including the MOTO Clear Panel Mom Jeans — that left us scratching our heads. The jeans, which featured a clear knee, seemed cool but raised the question: Would these actually look good on anyone? Brown just proved that she can *literally* make any trend instantly amazing in a new Instagram post with BFF Maddie Zeigler. The photo is so adorable that we almost missed the trendy jeans, but we have to say — we’re now kind of thinking about getting them for ourselves. Pairing the jeans with a simple white, patterned button-down shirt and sandals, Brown shows that less is more when it comes to these jeans. The Topshop pair, which will cost you $95, are meant to be cropped, but on the 5′ 3″ actress, they look awesome at the ankle, too. 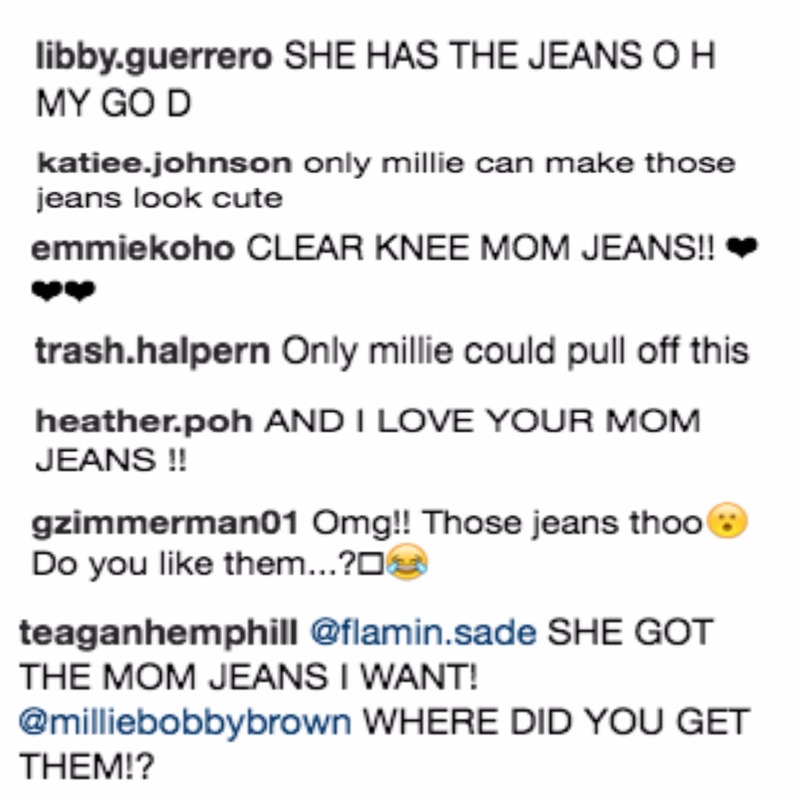 While we were distracted by the tween superstars, Brown’s fans took to the comment section to profess their love for the actress’s look. We definitely agree with all of this denim-related enthusiasm. Fingers crossed Eleven will rock a pair of the jeans in Stranger Things Season 2! Regardless, this pic is even further proof that Millie is an incredible trendsetter, and we are totally on board to follow this budding style icon everywhere she takes us.